Orthoceras is a 400million year old fossil cephalopod--an ancient, distant relative to the modern day nautilus, squid and octopus, but this one had a conical shell that could be up to 15 feet long! 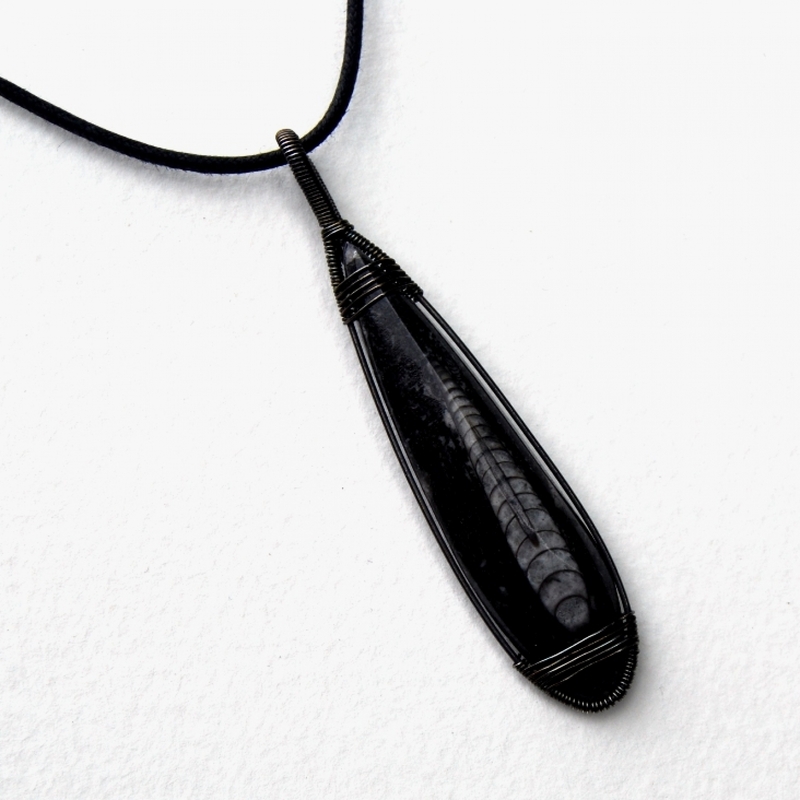 This fossil specimen is wire wrapped in sterling silver so you can wear a piece of history. 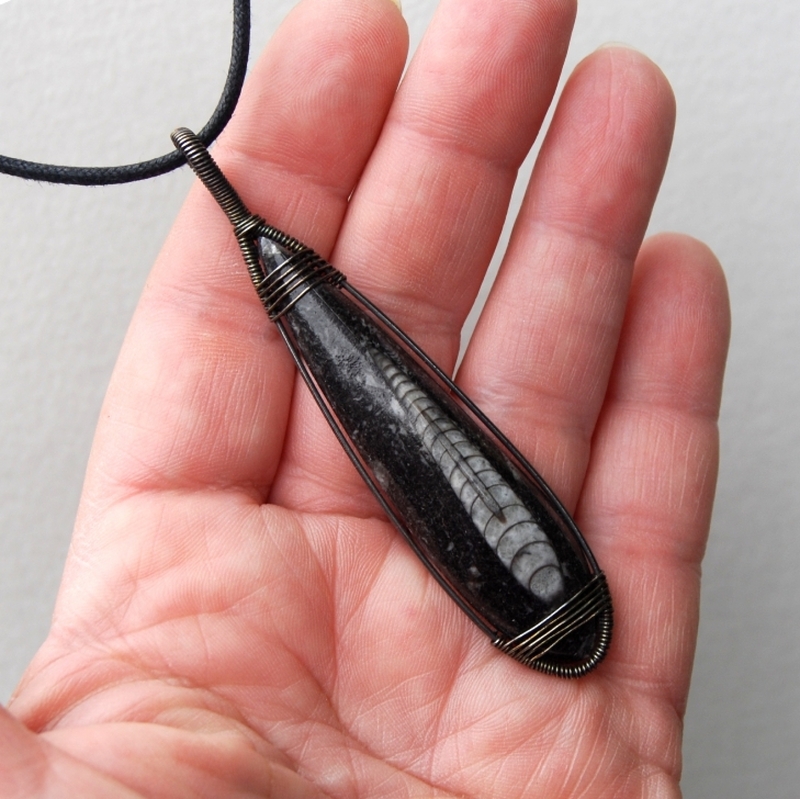 The pendant hangs from a 20" waxed black cotton cord.